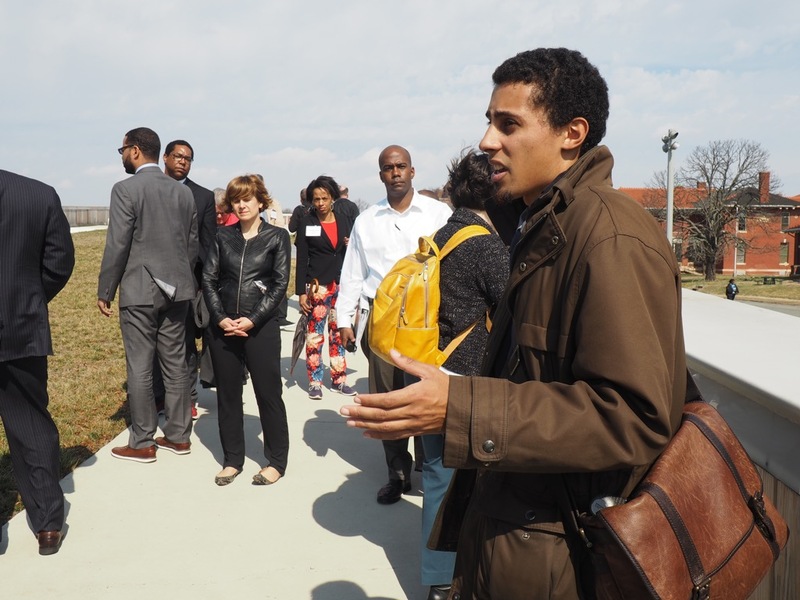 The District of Columbia is seeking strategies for how it can ensure that the redevelopment of the St. Elizabeths East Campus (now underway after decades of planning) will lead to economic opportunity and equitable outcomes for the adjacent Congress Heights neighborhood. The 350-acre campus was previously occupied entirely by St. Elizabeths Hospital, established by Congress in the 1850s for the humane treatments for those with mental illness. In 1987, the federal government transferred the 183-acre St. Elizabeths East Campus to the District government. In 2004, the U.S. General Services Administration assumed control of the St. Elizabeths West campus, where in 2007 the U.S. Department of Homeland Security (DHS) decided to consolidate a portion of its headquarters. The U.S. Coast Guard has relocated there and the remaining DHS offices will move in the next 18-24 months. Finally, in partnership with its sports and visitors’ authority EventDC and Monumental Sports and Entertainment, the District is in the process of building a 4,200-seat entertainment and sports arena (ESA) that will help anchor future entertainment and retail uses. The ESA will serve as the home court of the Washington Mystics WNBA team and as a practice facility for both the Mystics and the NBA’s Washington Wizards. It will also host other sports, arts, entertainment, and community events. The St. Elizabeths East Campus is located at 2700 Martin Luther King Jr. Avenue SE in the Congress Heights neighborhood in the District’s Ward 8. Located on the hilltops overlooking the Anacostia River, Congress Heights takes its name from its undulating topography that offers exceptional views of the U.S. Capitol and beyond. It is rich in community character and historic significance with many educational and faith institutions. This predominantly residential community has a cohesive group of late-19th century through mid-20th century residential, commercial and institutional buildings. The housing stock consists mainly of garden apartments but numerous single-family dwellings are scattered throughout the neighborhood: just less than one-third of its housing structures were constructed as single-family homes and just more than half were built with at least five units. Of the 2,808 affordable housing units that have been delivered citywide from January 2015 to November 2016, 350—about one-eighth—are located in Ward 8, which in 2014 had—by far—the lowest homeownership rate in the District at 21% (the second lowest was Ward 1 at 34%). Congress Heights’ population is 96.1% African American, compared to 92.4% for Ward 8 and 49% citywide. Although the unemployment rate in Ward 8 has followed the city’s downward trend since 2012, it remains the highest in DC at 13.5% (in September 2016), well above the citywide rate of 6.1%. Only 10% of neighborhood residents have a college degree compared to the citywide rate of 47%. 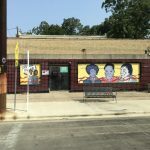 But Congress Heights is economically diverse and has a commercial district along Martin Luther King Jr. and Malcolm X avenues, which intersect just south of the campus. Ward 8 has some of the highest rates of health disparities in the city, including the highest obesity and diabetes rates and the least likelihood of its residents exercising or consuming the recommended servings of fruits and vegetables—less than one-tenth of the District’s grocery stores are located in Wards 7 and 8 (which comprise a quarter of the city’s population). How can we redevelop St Elizabeths East while working to deliver the benefits of the development to existing residents of Congress Heights? What can we do to mitigate potential displacement pressures, especially through existing programs and partnerships, but also through new and innovative policies and partnerships? Realizing that any approach must be multi-faceted, how do we look at and weigh the relative importance of housing (especially affordable housing and homeownership), jobs (including job training and apprenticeships), and amenities in an outcome- and data-driven way? What can be done on the St. Elizabeths campus or in partnership with DHS and GSA to help address some of these issues, taking into account the reality that the infrastructure costs will likely require commercial development and will limit the total amount of public benefits that can be gained through the redevelopment? How do concerns about displacement relate to a current real estate market in the neighborhood that is not as strong as other parts of the city? 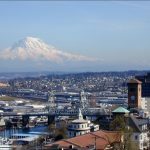 How might this relate to nearby strategies, such as the 11th Street Bridge Park’s Equitable Development Strategy down the street?